Australians know the value of a good beach umbrella. 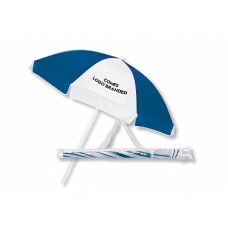 Sturdy and fantastic at blocking out harmful rays from the sun, Umbrella Planet produces quality beach umbrellas featuring your custom branding. We print your logo design directly onto the panels of our durable beach umbrellas so your next business, family, or community event will enjoy protection from the harsh Aussie weather in style! Need to get shielded from the sun quick? Never fear, Umbrella Planet delivers beach umbrellas quickly Australia wide. Our standard turnaround time for these custom branded units is two weeks, but our friendly sales team can recommend options for an express turnaround as well. Thanks to their sprawling canopies and large panels perfect for printing your logo, our beach umbrellas make the perfect summer event item. 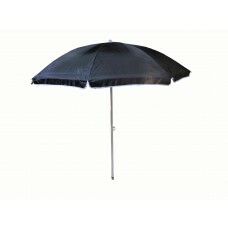 The outdoor event umbrellas sold by Umbrella Planet are specially treated to promote weather resistance. So you can rest assured that when you purchase a bulk order of our umbrellas, they have been designed to resist fading as well as powerful winds. If you want to know more about UV resistance and fabric details, please feel free to contact our friendly team for more information. 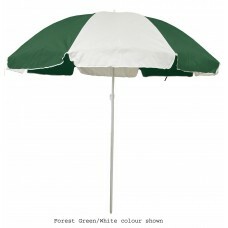 Beach umbrellas are a perfect corporate gift for recipients who love the great outdoors. They can be handily transported to any location with ease and are simple to pack up into their included cases once the day is over. 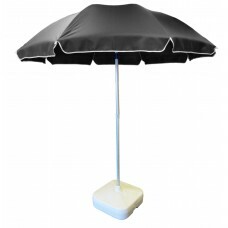 Erect them in the sand on the beach or use one of our heavy duty umbrella stands. At the end of the day take them home and store them easily until your next outdoor event in the hot Aussie sun! 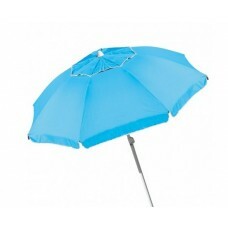 Umbrella Planet is proud to supply outdoor event umbrellas to leading companies across Australia. Have you ever been to an exciting outdoor event and spotted marquee umbrellas boasting a business name or event design? Chances are it was one of ours! Don't get left behind - join the thousands of Aussie businesses utilising our unique umbrellas for their corporate needs. Customised beach umbrellas are the kind of gift everyone loves using, but very rarely consider buying for themselves. This makes them a great gift for businesses, education institutes and sports groups to give to recipients at Christmas time. Not only will the personalisation of your logo or design on the canopy appeal to everyone, Xmas is the perfect time of year for giving an umbrella that can be used to help shield in the hot Aussie sun. 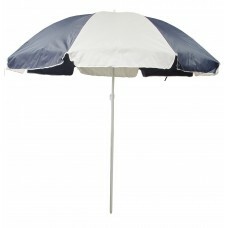 Take care of gifting this year with a great assortment of branded beach umbrellas!